We're a practice of RICS Chartered Surveyors offering expert property surveying, valuation, and property management services across Greater London and beyond. We have a wealth of experience in the full range of surveying services in London, and aim to provide our clients with a high quality survey report efficiently and professionally. Our chartered surveyors are true specialists when it comes to London properties, and have many years of dedicated experience in the area. Our reports are catered to your particular requirements and property, and our surveyors are on hand to discuss the findings in detail. We offer both HomeBuyers or Building surveys, and create bespoke reports to illustrate your property's condition and identify any defects. Our property surveys are a vital tool for prospective homebuyers, and will leave you fully informed on the full condition of the property. Our home buyers report is a comprehensive survey which details the condition of all accessible areas of the property. Called the Talbot Homebuyers Survey, our reports are generally more in-depth that the equivalent reports offered by other surveyors. The report will explore every aspect of the property's structure, highlighting any defects such as subsidence or damage to the roof. The report will also highlight areas of concern in outbuildings and boundaries, and includes expert advice relating to valuation. The Talbot HomeBuyers Report offers prospective home buyers a vital insight into the state and condition of the property, and is a useful tool in identifying costly defects and informing any counteroffers. Our Talbots RICS building survey is the most in-depth choice for our clients, and covers the aspects of our HomeBuyer Report in considerably more detail. It's recommended for properties with unusual designs or construction, or for very old or listed buildings. The Building Survey is more expensive than our HomeBuyer Report, but is important if the property has obvious defects or is particularly old. 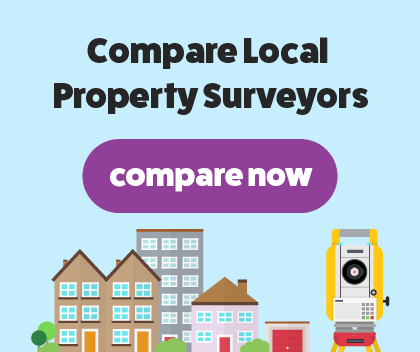 We're available to give you expert advice on the property survey that would suit your needs best. We'll usually inspect the property within a week, and you can expect the report within 24 hours from the time of inspection.